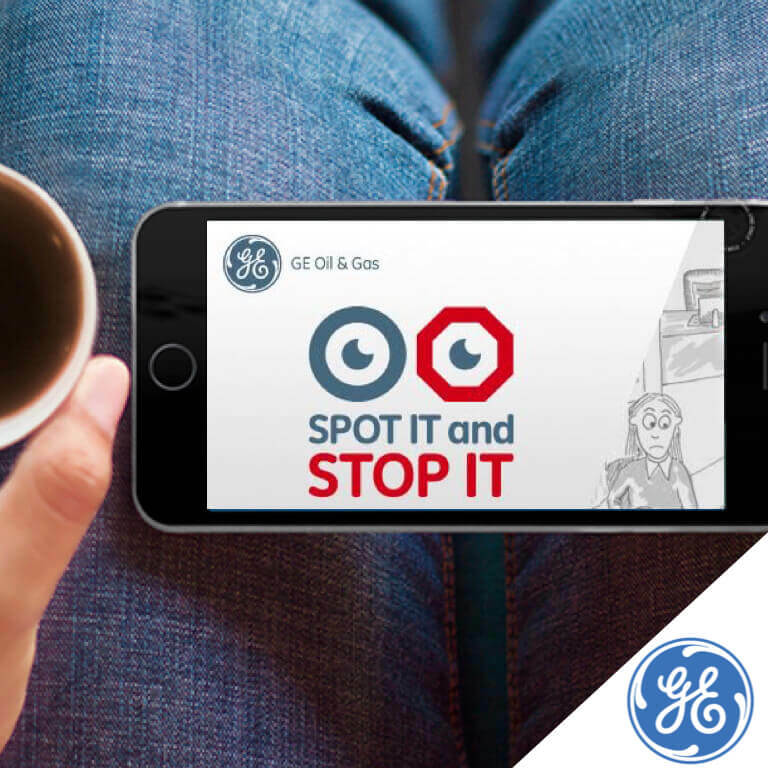 General Electric global wanted to remind all employees that when they see something wrong at work they should stop it before it becomes dangerous. However, this sometimes is not so easy to do and not easy to communicate. 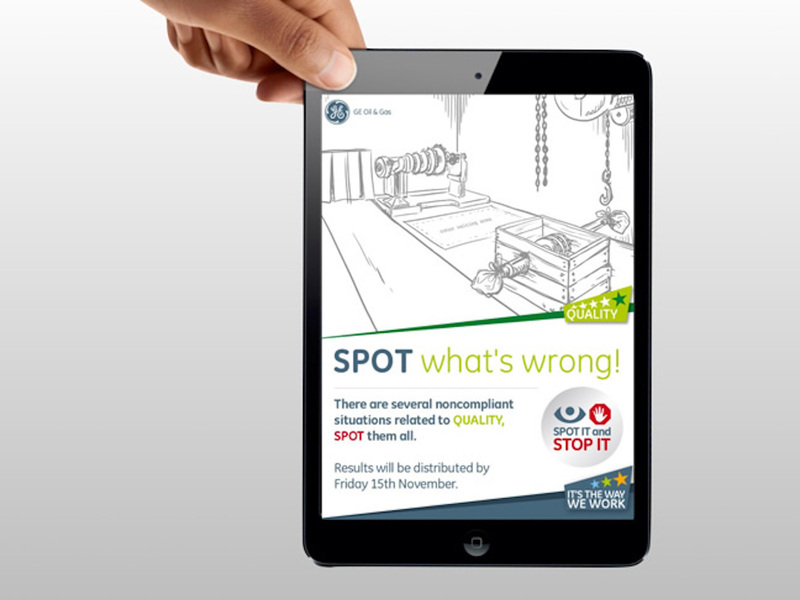 Chocolate Factory turns this safety campaign into something more engaging and definitely fun: we developed a virtual game where employees had to spot the mistakes and stop them. 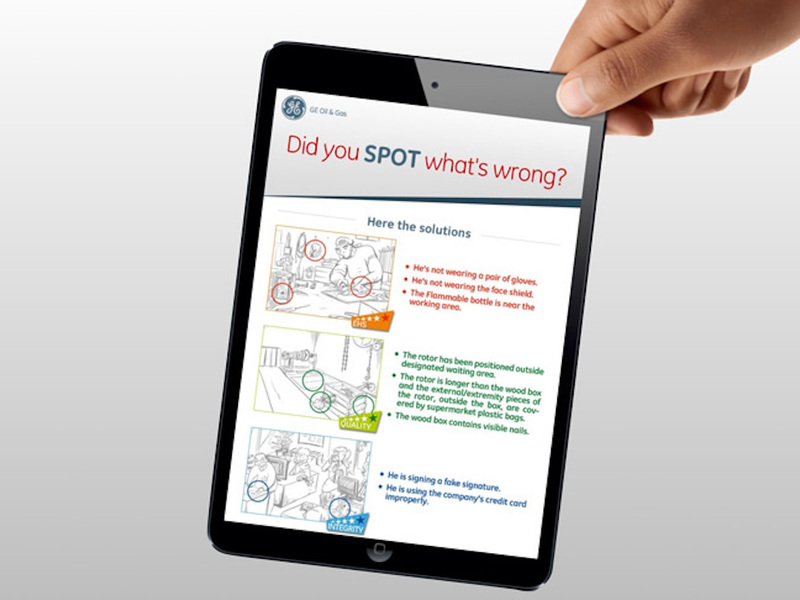 A fun game created for engineers minds. 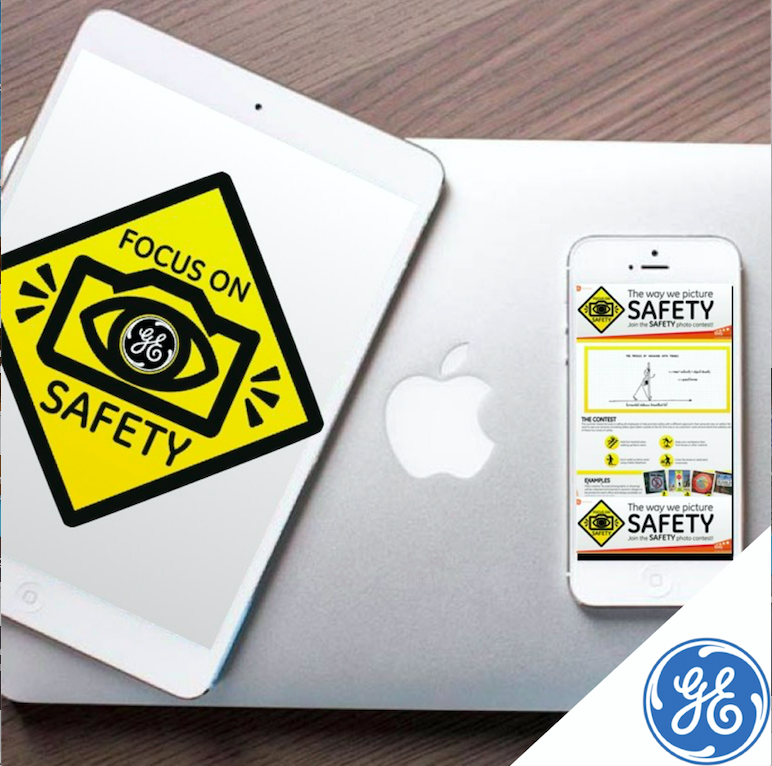 General Electric wanted to remind all global employees that safety is an important subject not to be underestimated. 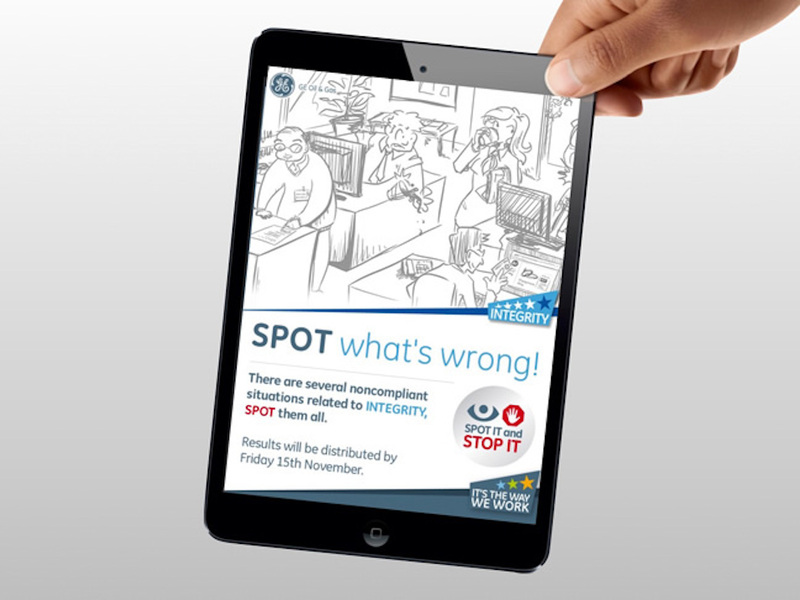 They wanted to use a more positive and engaging approach. 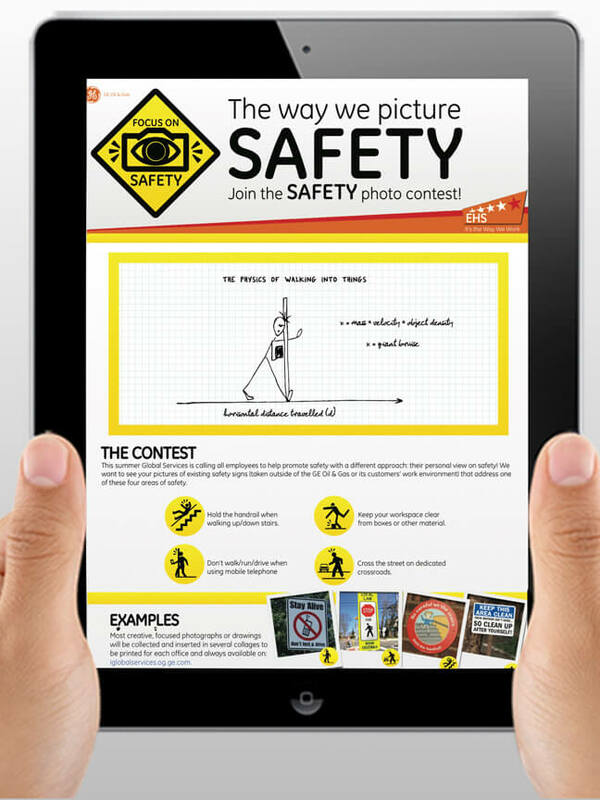 We created a photo contest campaign called “Focus on Safety”. We created the logo, the name and the content of the contest. We wanted to generate engagement among employees, who where invited to send photos, from all over the world, of safety signs. We used the employees’ language of graphs and numbers and turned them into something fun to read. 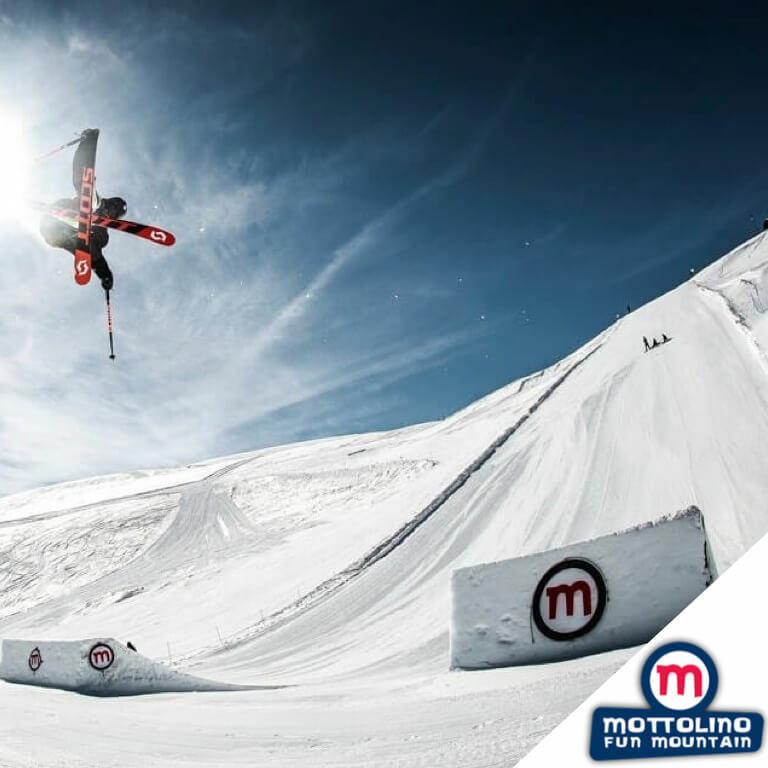 Mottolino, is the fun mountain of the Alps, well known for its Europe’s best snow park and fun parties. How can we create a funnier and more lively atmosphere in Mottolino’s sky area? We believed the answer was in making the employees happy to work there. 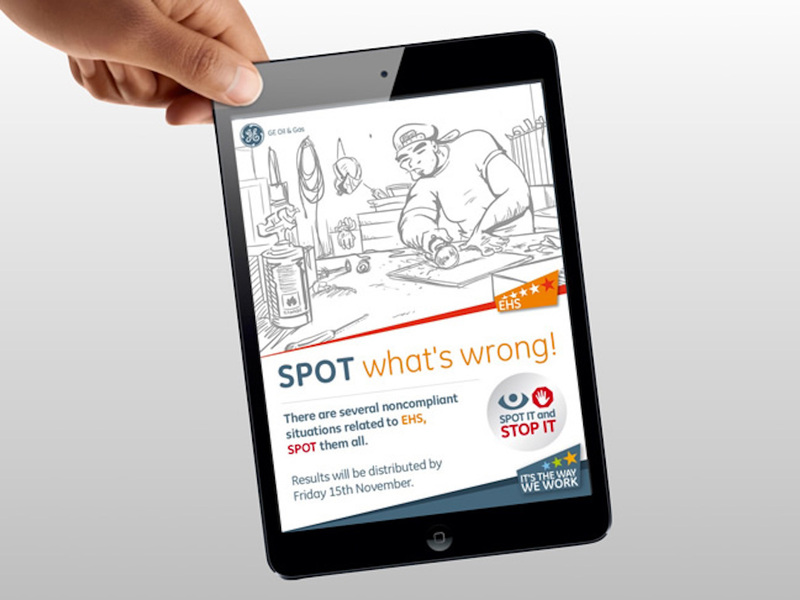 We created the M-Factor contest, the contest where all the employees had to demonstrate their Mottolino-Factor: the factor that makes them able to have fun also at work. If employees are happy at work also skiers will be happier. The winner was announced during the closing season event and won a trip for two people to Euro Disney Paris.